The Mafia boss Giuseppe ‘Joe’ Profaci, one of the real-life gangsters who influenced the author Mario Puzo as he created the character of his fictional mob boss Vito Corleone in The Godfather, was born in Villabate in Sicily on this day in 1897. 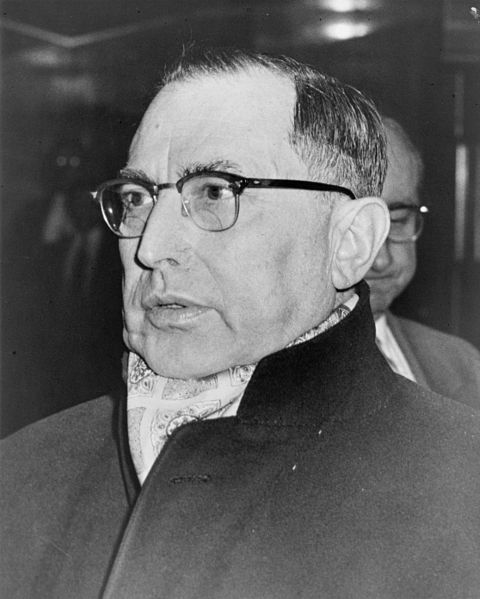 It was after studying Profaci’s crime career that he decided that Corleone, who is thought to have been based largely on one of Profaci's fellow mob bosses, Carlo Gambino, should hide his criminal activities behind his ‘legitimate’ identity as an olive oil importer, mirroring what Profaci did in real life in New York. Profaci is believed to have started importing olive oil before he became heavily involved in crime but chose to keep the business going as one of a network of legitimate companies, so that he could mask the proceeds of his crime empire and satisfy the authorities that he was paying his taxes. In fact, the olive oil business became a hugely lucrative concern, particularly when shortages in the Second World War enabled him to sell the product at premium prices. The irony of Profaci’s criminal life was that his legitimate companies, of which he had as many as 20, actually provided work for hundreds of New Yorkers. 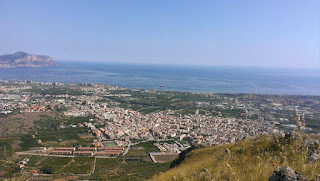 Little is known about Profaci’s early life in Sicily, although he was at one time convicted on theft charges and spent perhaps a year in prison. He emigrated to the United States in 1921, undertaking a 17-day journey across the Atlantic, a month before his 24th birthday. Initially he settled in Chicago, where he ran a grocery store, before moving to New York in 1925 to begin his olive oil business, based on Long Island. Becoming involved with organised crime was always his intention, however, and in 1927 he used his relationship with Vincent Mangano, who had been on the same ship that took him from Palermo to the United States in 1921, to get a foot on the ladder. Mangano, who would go on to be head of the Gambino crime family, had arrived in New York from Sicily on the same boat as Profaci. Although Profaci at that stage had no experience of organised crime, it is thought his family contacts in Sicily helped him become established in the New York underworld, where his extortion, bootlegging and counterfeiting rackets grew rapidly. He was recognised as one of the city’s most important crime bosses at a meeting in Cleveland in 1928, attended by Chicago mob boss Al Capone, where he was given control of crime operations in Brooklyn following the murder of Salvatore D’Aquila during the Castellammarese War. By 1931 he was one of the most powerful figures in the New York crime scene, involved in prostitution, drug trafficking, loan sharking and illegal bookmaking. The Profaci family was one of New York’s original Five Families and Joe Profaci had a seat on the Commission, the ‘governing body’ set up by Charles ‘Lucky’ Luciano to foster communication and avoid damaging wars between the different Cosa Nostra families in New York, Chicago and Buffalo. More than once, the authorities tried to find a way to jail Profaci. He was arrested on charges of drug trafficking after 90 hollowed out Sicilian oranges containing heroin were discovered being unloaded at the docks in New York but police did not have enough evidence to link the crime directly to him. A move to revoke his US citizenship on account of his failure to declare his jail sentence in Sicily was overturned on appeal, while a bill for $1.5 million dollars in overdue taxes simply went unpaid. 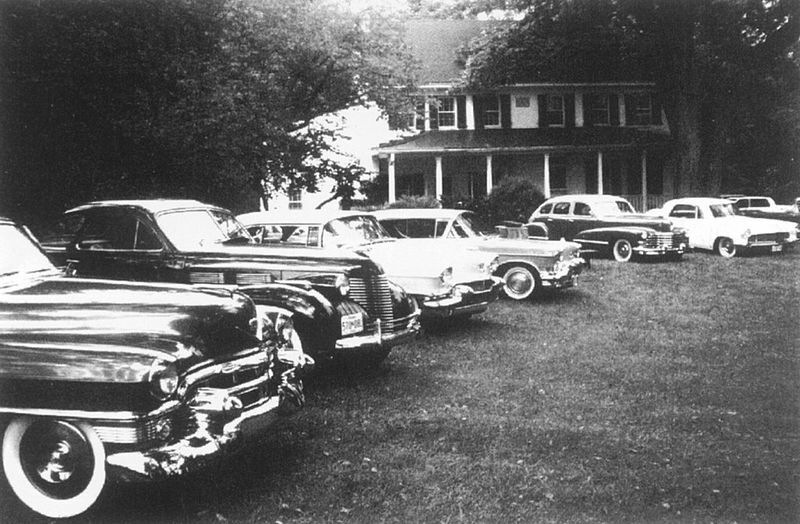 He was also arrested during the famous police swoop on the so-called 'Apalachin Conference', a national mob meeting that took place in 1957 at the farm of mobster Joseph Barbara in Apalachin, in upstate New York. Profaci was convicted with 21 others on conspiracy charges but the verdict was overturned on appeal. At the height of his power, in addition to houses in Brooklyn and Miami Beach, Florida, Profaci acquired a 328-acre estate near Hightstown, New Jersey, that previously belonged to President Theodore Roosevelt. 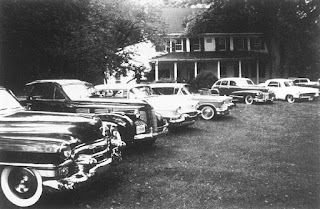 The estate had its own airstrip and Profaci added a chapel with an altar that was a copy of one in St. Peter's Basilica in Rome. A devout Catholic, Profaci made generous cash donations to Catholic charities but it was his rather less generous treatment of family employees that ultimately led to his downfall. One practice that provoked discontent among his criminal employees was his insistence that they should each pay him a monthly tithe, in line with an old Sicilian gang custom. The money generated by this practice was meant to support the families of jailed gang members, but Profaci pocketed much of the cash himself. Ultimately, a Profaci bookmaker, Frank Abbatemarco, refused to pay, standing his ground despite numerous threats. Profaci eventually ordered him dead. He asked Joe Gallo, a family member, to carry out the killing, promising that he could take over Abbatemarco’s rackets as a reward, but then reneged on the deal. It sparked an all-out conflict, in which there were several kidnappings and murders, known as the Profaci-Gallo war. Rival bosses Gambino and Tommy Lucchese pleaded with Profaci to end the war, which was not good for business, but Profaci trusted neither and refused. The fighting ended only when Profaci, by then in the later stages of liver cancer, died in hospital in 1962. 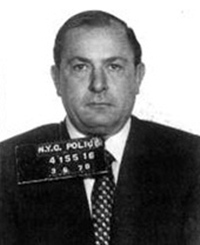 His brother-in-law and closest ally, Joseph Magliocco, assumed control of Profaci’s empire but the Commision decided to remove him, installing Joseph Colombo as Brooklyn boss, after which the Profaci family became the Colombo family. 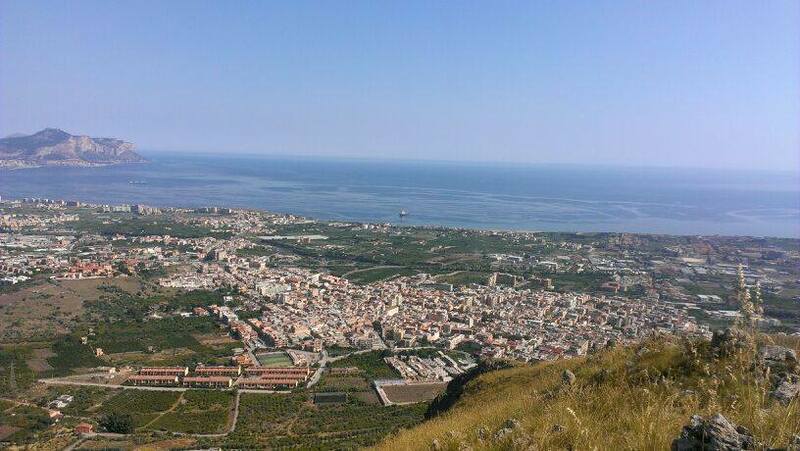 The town of Villabate, which can be found about 10km (6 miles) southeast of Palermo, takes its name from the abbot of Santo Spirito di Palermo, Giovanni de Osca, who had a tower built there in the late 15th century, together with some houses and other buildings. Villabate used to be an agricultural town but in the 1960s the local economy suffered a huge blow as many hectares of orange trees were removed to make way for new houses, to provide permanent accommodation people still homeless after their original houses had been flattened by Allied bombers in the Second World War. Palermo’s Renaissance-style Teatro Massimo, opened in 1897, has become a symbol of the city’s fight back against the grip of the Mafia. 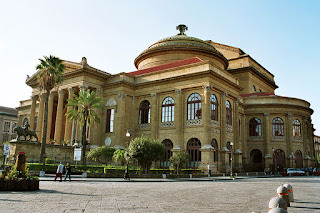 The largest opera house in Italy and the third biggest in Europe after the Opéra National de Paris and the K. K. Hof-Opernhaus in Vienna, originally designed with an auditorium for 3,000 people, it was closed for supposedly minor refurbishments in 1974. But at a time when local government was at its most corrupt and when the Mafia controlled almost everything in the city there was little money in the public purse and the theatre, which once attracted all the great stars from the opera world, would remain dark for 23 years. Was Carlo Gambino the mobster who inspired The Godfather?